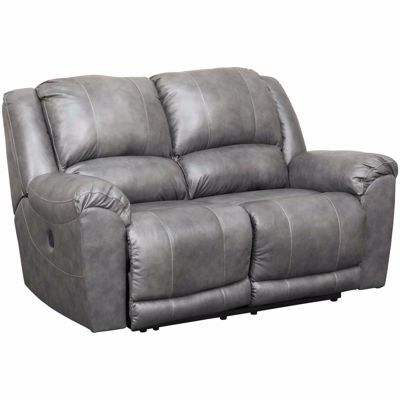 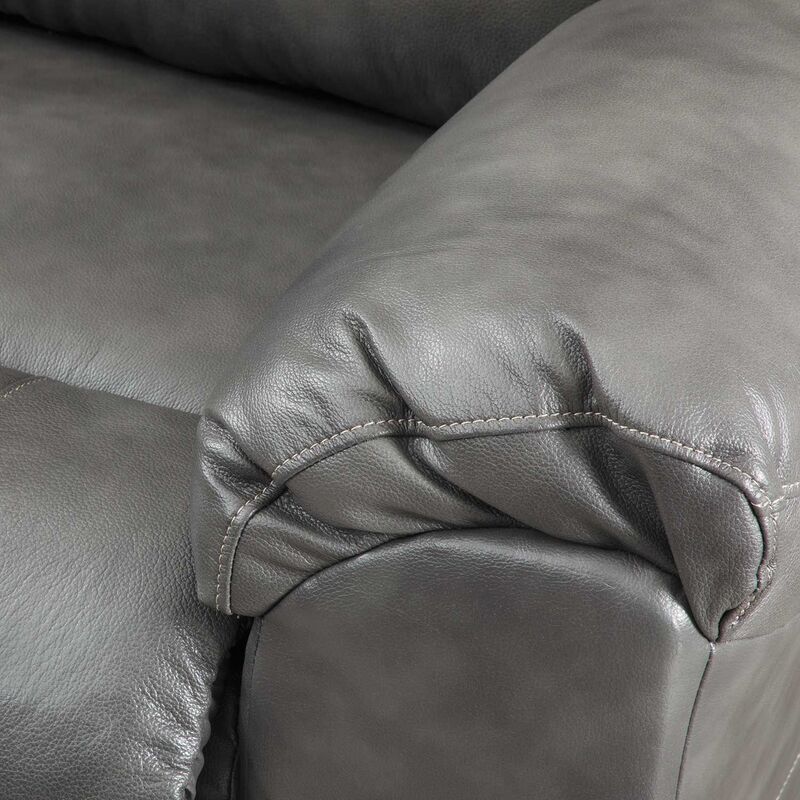 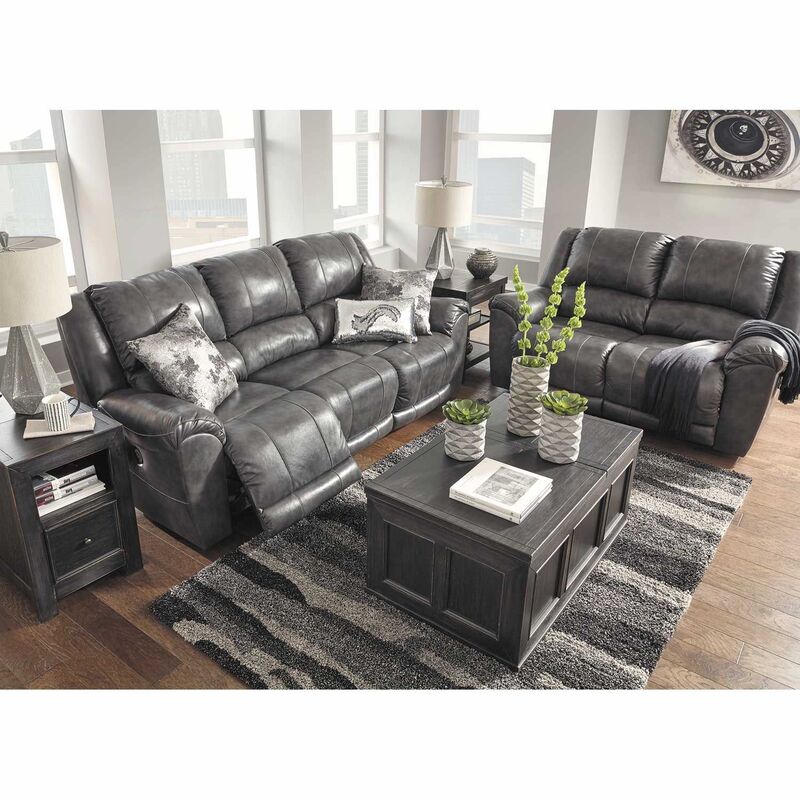 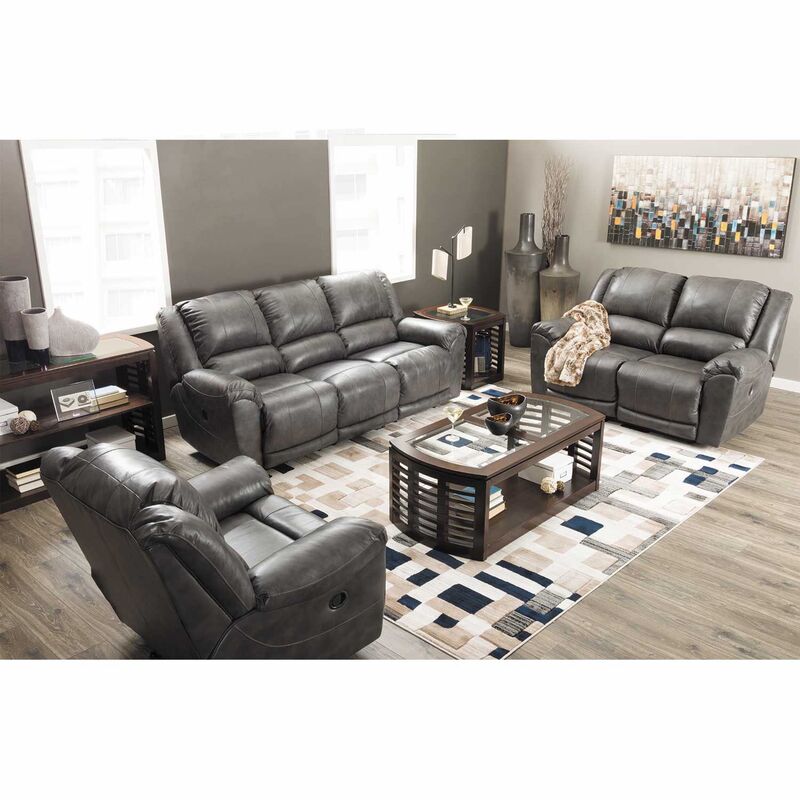 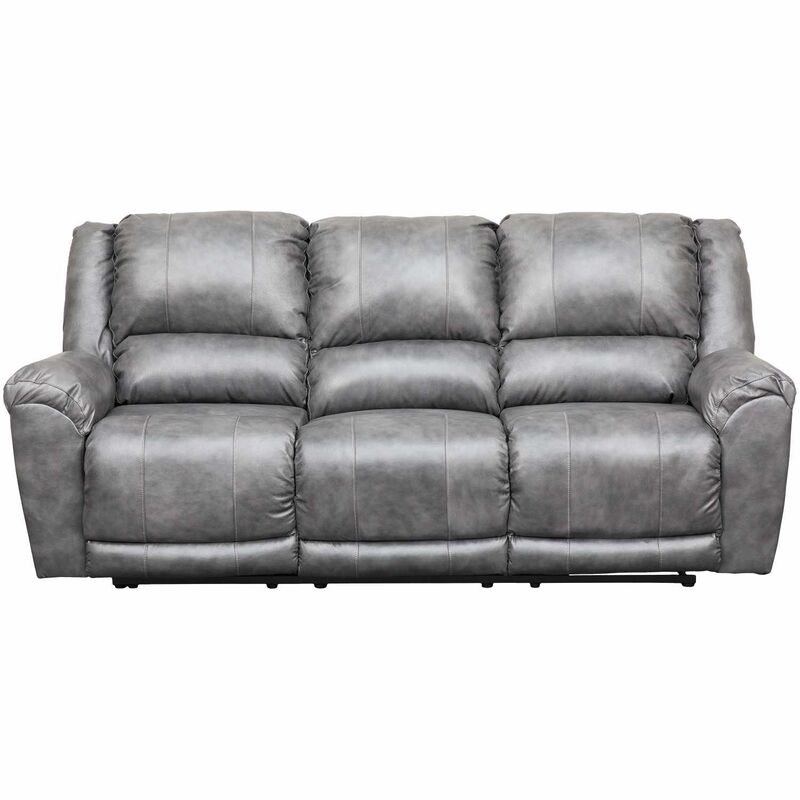 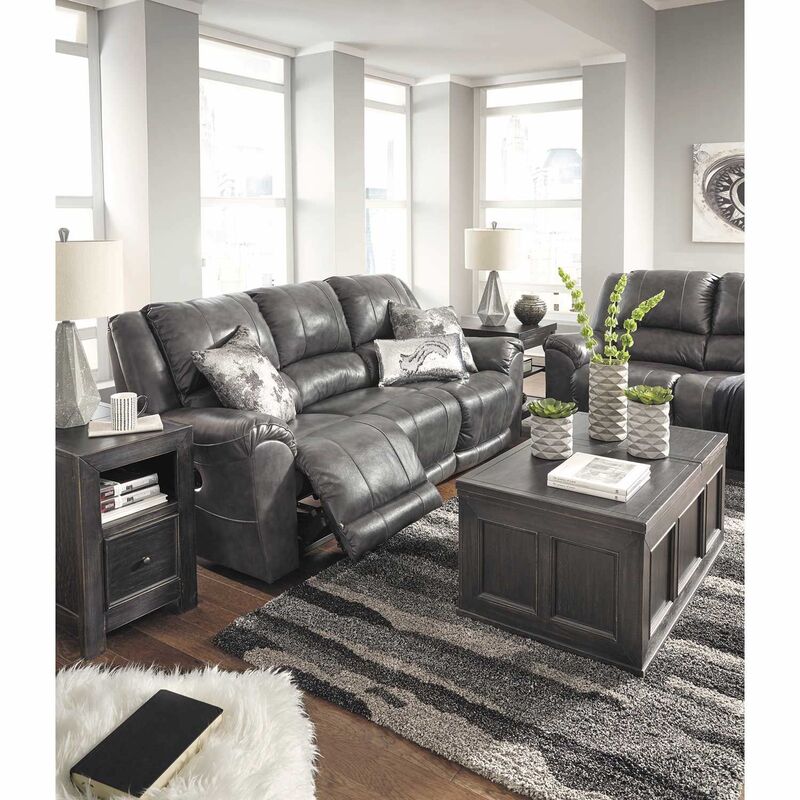 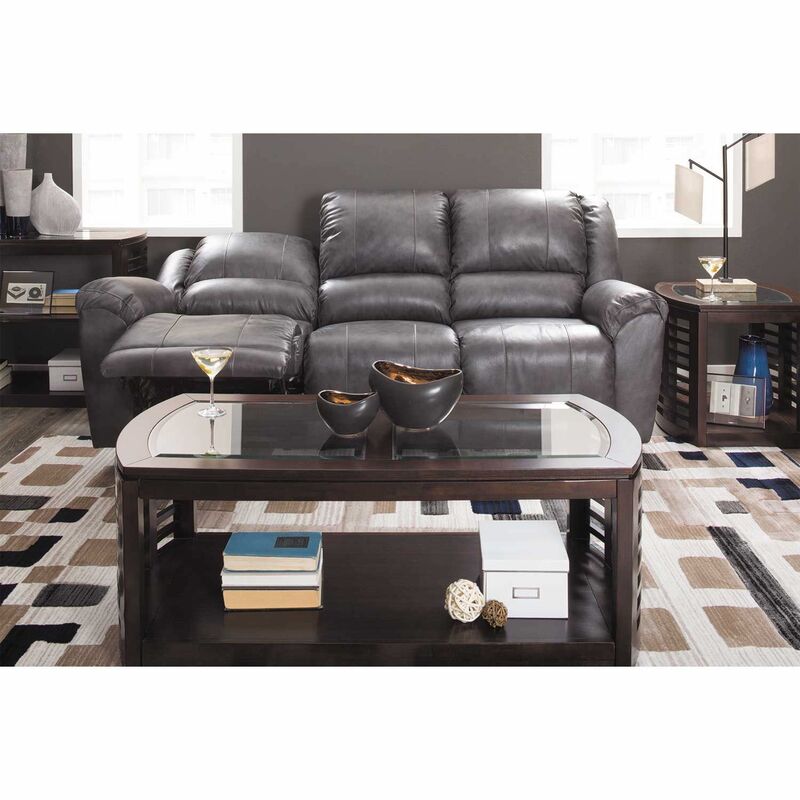 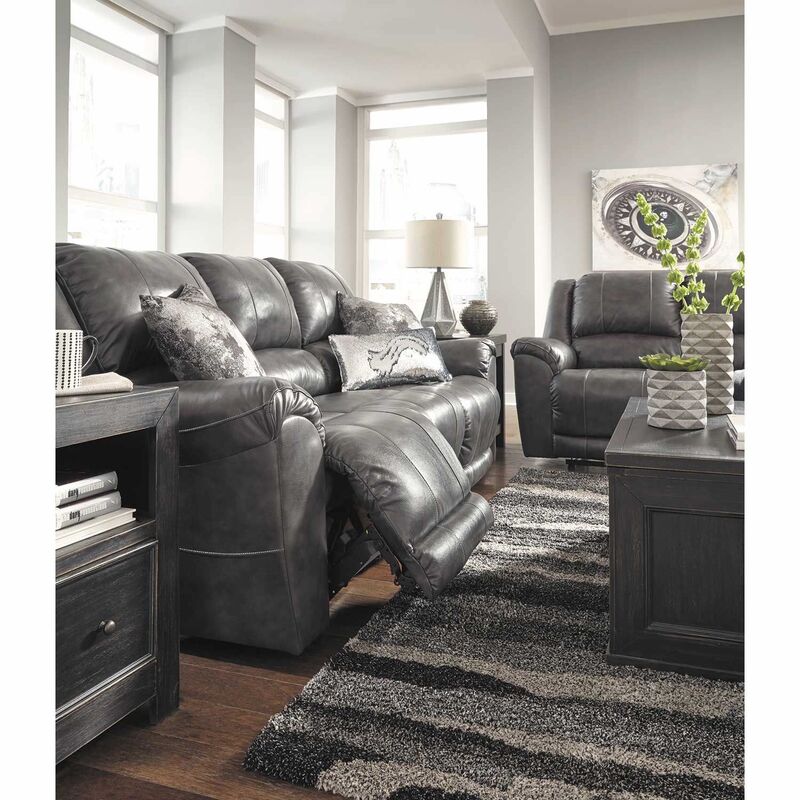 Persiphone Charcoal Leather Power Reclining Sofa from Signature Design by Ashley Furniture. 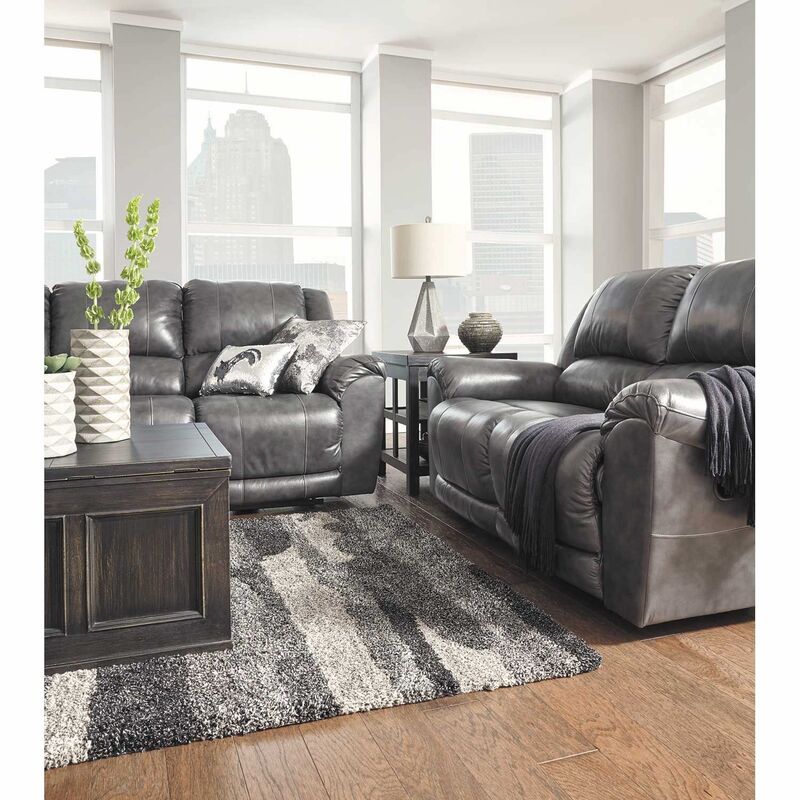 Frames are constructed of hardwoods and engineered woods (OSB) with a metal drop in unitized seat box. 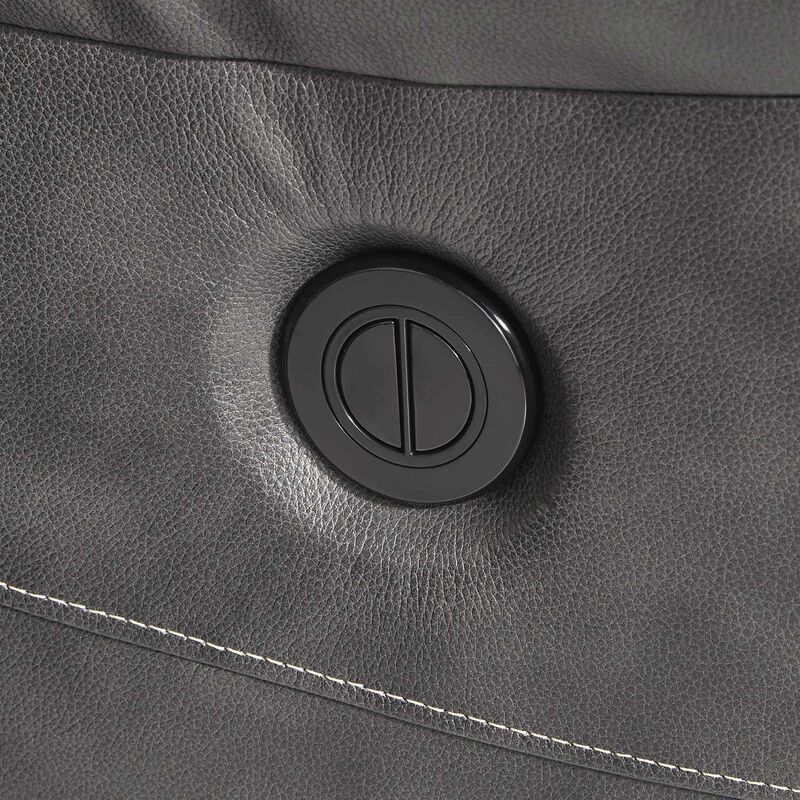 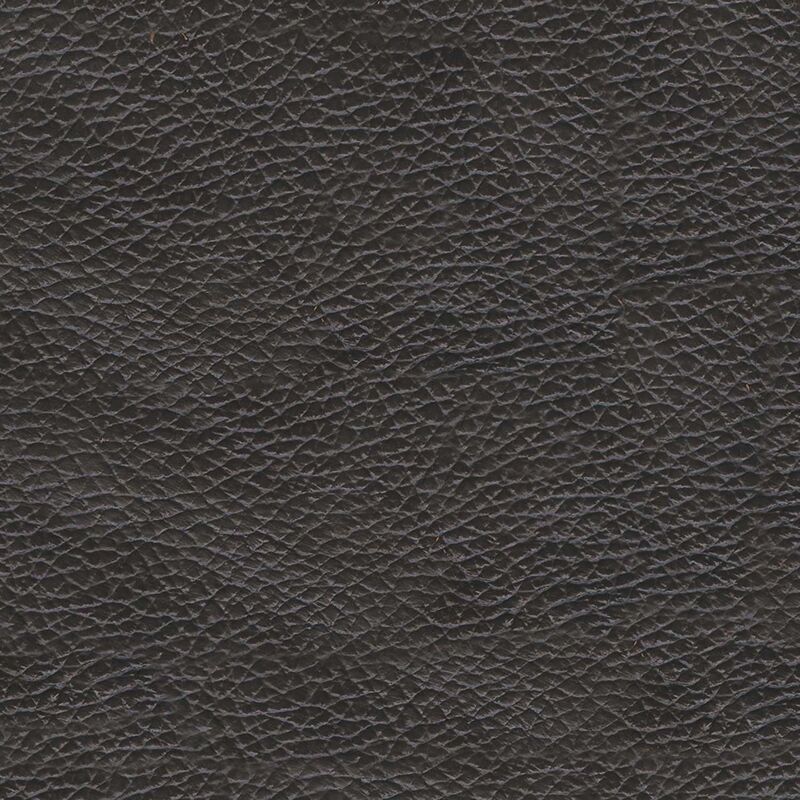 Covered in a charcoal leather and leather match application.